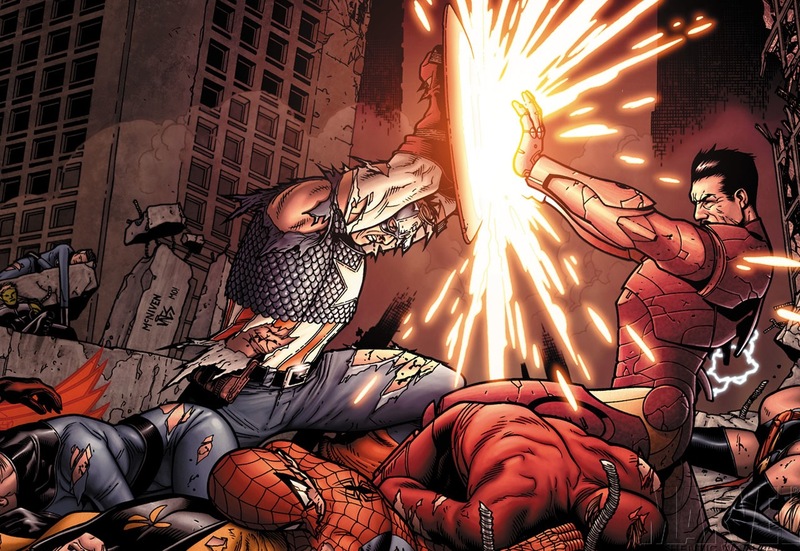 In Part 1 of this series, we looked at how Tony Stark’s utilitarian outlook allowed him to justify his actions in Marvel’s Civil War. Today I want to look at a different ethical philosophy called deontology. The first time we looked at deontology on 4LN we were discussing why Batman does not kill. Now we will look at how this philosophy shapes Captain America’s actions in the civil war. That’s some dense language so I am going to try to break it down because it really does show why Captain America does what he does. Kant is saying three things. First, he says that one should live by a code that they think could become a rule for all; then that everyone has intrinsic value and should not be used as a means to an end, but be treated as an end; and finally, that we must all act as if our personal code is a universal law and is also an end in itself. Each must for himself alone decide what is right and what is wrong, and which course is patriotic and which isn’t. You cannot shirk this and be a man. To decide it against your convictions is to be an unqualified and inexcusable traitor, both to yourself and to your country, let men label you as they may. If you alone of all the nation shall decide one way, and that way be the right way according to your convictions of the right, you have your duty by yourself and by your country. Hold up your head. You have nothing to be ashamed of. Doesn’t matter what the press says. Doesn’t matter what the politicians or the mobs say. Doesn’t matter if the whole country decides that something wrong is something right. This nation was founded on one principle above all else: The requirement that we stand up for what we believe, no matter the odds or the consequences. When the mob and the press and the whole world tell you to move, your job is to plant yourself like a tree besides the river of truth, and tell the whole world — No, you move. This isn’t to say deontology is flawless. Like any philosophy, deontology certainly has its sticking points. However, these flaws don’t present themselves in this particular story, and since this is more of a philosophical overview of Civil War as opposed to a straightforward deontology vs. utilitarianism debate, we won’t go into them in this article (just look up Kant’s Nazi problem and start reading). Both sides of the Civil War got out of hand. The reasons behind the SRA made sense. Superheroes have incredible power, and the collateral damage they cause can be staggering. From a utilitarian point of view, the greatest happiness would be a general populace without fear, and that is nearly impossible with the ever-present threat of masked villains and vigilantes with the power to destroy small towns. If people had that kind of power in real life, I am sure almost all of us would want them controlled to some extent. The problem is how the bill was implemented and the direction it took. The SRA, and those that supported it, is responsible for the death of some heroes and the indefinite incarceration of many others without trial. Despite Tony’s arc reactor being in the right place at first, he and his team are the clear villains in the conflict, but that’s not to say Captain America is completely blameless. He did respond to force with force, continuing the escalation of the war. 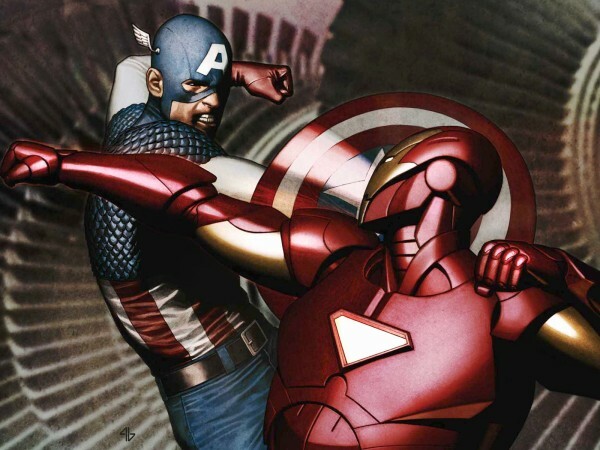 It’s hard to say if Cap would have ever gone as far had it not been for Tony being the catalyst for an arms race. In the end though, Steve realizes that, while the law in unjust, it is his responsibility to end the war by turning himself in. He does this with the hope that the judicial system will realize its error and discontinue the violation of their rights. Well, there you have it. I hope you enjoyed this series of articles. 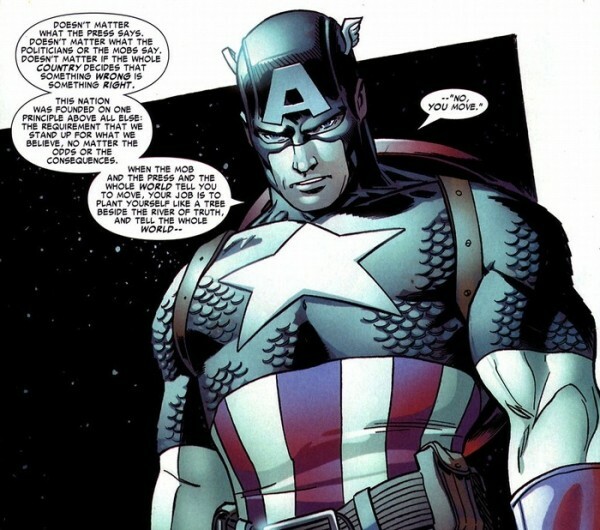 During this two part series, we have seen why Tony was able to justify his use of force while implementing the SRA, and why Steve Rogers felt that it was his duty to oppose the law. We have seen why Tony’s personality pushed him to go to far in his quest for maximum utility; how Steve uses Kant’s categorical imperative to determine his moral code, and his resoluteness in carrying out what he believes he ought to do despite the odds against him. I tried to be as unpretentious as possible while presenting these ideas and I hope I succeeded. What do you think about the conflict between Captain America and Iron Man? Do you think these philosophies accurately describe them? Let us know what you think in the comments! The Civil War series broke my heart, but your articles gave some clarity to such a sad string of events. Well done! Thanks, Lauren! I am glad you liked the articles. I had a lot of fun writing them. Great articles. Loved this story line. Ive been trying to decide if i wanted to re-read the run. You made my decision for me. Good read and explanation for the whole reason behind Civil War. I hope they do this story justice with the upcoming Avengers Civil War Movies. I assumed that in part 1, when you said no spoilers, it would extend to part 2 as we.